The book provides the reader with a clear understanding of what software reuse is, where the problems are, what benefits to expect, the activities, and different forms of software reuse. The reader is also given an overview of what software components are, different kinds of components and compositions, a taxonomy thereof, and examples of successful component reuse. An introduction to software engineering and software process models is also provided. 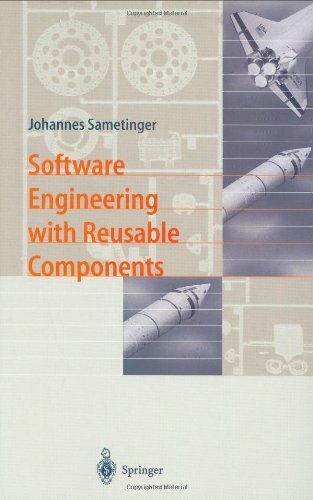 Consequences and influences of systematic reuse of software components are depicted, and activities like domain engineering, component engineering and application engineering are described. The book discusses software engineer's project related knowledge and theoretical background. It covers project planning, project life cycles, methodologies, technologies, techniques, tools, languages, testing, databases, and CASE. An introduction to reverse engineering software under both Linux and Windows. The author uses the Scientific Method to deduce specific behavior and to target, analyze, extract and modify specific operations of a program for interoperability purposes. After completing this course on server-based Internet applications software, students who start with only the knowledge of how to write and debug a computer program will have learned how to build web-based applications on the scale of Amazon.com. by Michael R. Lyu - John Wiley & Sons Ltd.
Software fault tolerance techniques involve error detection, exception handling, monitoring mechanisms and error recovery. This book also focuses on identification, application, formulation and evaluation of current software tolerance techniques.